So how does Lean Six Sigma certification differ from Six Sigma certification? Are they two names for the same process, or are they two stand alone procedures and processes? The main difference between Lean Six Sigma and traditional Six Sigma is speed. Lean Six Sigma certification and training emphasizes that speed is directly tied to excellence in process. Improve the process flow by eliminating deviations or errors, and you will automatically speed up the process, delivering better quality, and improving your relationship with clients and customers. Lean Six Sigma certification means that you are able to look at the process and locate the speed bumps in order to roll out better products and services more speedily. Speed does not mean truncating or squeezing your delivery schedule in order to get the product out more quickly. What it means is eliminating mistakes that slow down or stop the process, thereby hurting quality and delivery. Employing Lean Six Sigma certification and training means that you have become competent in looking for opportunities to streamline your process. It means you can identify your core process, and you have the tools needed to focus on making that core process run better and more smoothly. Lean Six Sigma certification means that you understand the two basic disciplines for speeding up the process; short frequent learning cycles or knowledge creation, and delayed commitment. Being Certified in Lean Six Sigma also means that you have mastered the statistical tools and skills with which to accomplish your goals as well as those of your organization. Whenever the project involves knowledge creation rather than just knowledge replication, speed and quality will come from improving the flow, and Lean Six Sigma certification tells senior management that you have the skills to accomplish this goal. Some project managers are sometimes guilty of gumming up the process by forcing early choices and reducing the number of possibilities, rather than listening to their Lean Six Sigma people. In other words, the project managers are guilty of project front loading, where they make all decisions upfront rather than allowing those certified to run the process to reveal what is right and what is wrong in the application. Lean Six Sigma certification means having and understanding a multitude of options simply by looking at the core process itself, which is what Lean Six Sigma workers have been certified to do. .
Tweaking the process as you move through it will narrow the process into a smoother stream that naturally speeds up because the problems have been eliminated. 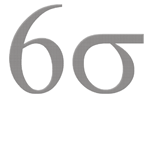 This is also where Lean Six Sigma certification differs from traditional Six Sigma. Layering in Six Sigma adds practices that are unwieldy and not right for your core process, making it slow and unresponsive, as well as not tolerant to change. This is sometimes taken as applying discipline to an unruly situation. An individual certified in Lean Six Sigma would recognize this problem almost immediately by analyzing the process and why it is slowing down.